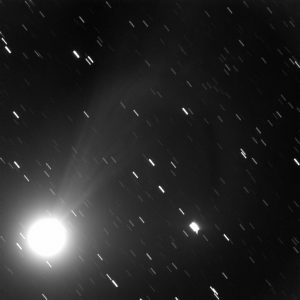 C2014 Q2 Comet Lovejoy should reach near naked-eye visibility in early January. The tail actually extends much farther than this image shows. Current location is in Lepus just below Orion.